Sitting inside Luxaline Gastropub with co-founder Chris Warwaruk, I learned of their sweet plans for Farmery Estate Brewery, a brewing facility the team’s building in Neepawa, Manitoba. At the moment, the South Winnipeg pub features a total of 150 beers (combined on tap and in bottles). Seven years ago, only import and domestic beers were for available in Winnipeg. 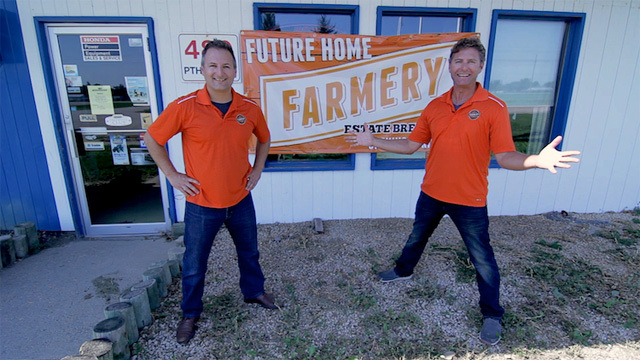 Farmery started supporting Canadian craft beer makers while developing their own line. Their flagship beer is Farmery Premium Lager, using three strains of hops. What sets them apart is that they grow their own barley and hops! 100% of their beer’s barley is grown on the farm. Commercially harvesting hops this year for the year. Canada grows the best malt barley in the world, yet 99.99% is exported. They wonder why. Keeping the grain in Canada – and in the local beer – is their mission. After all, they grew up on a family farm and saw firsthand the risks involved in selling a premier product at a wholesale price. 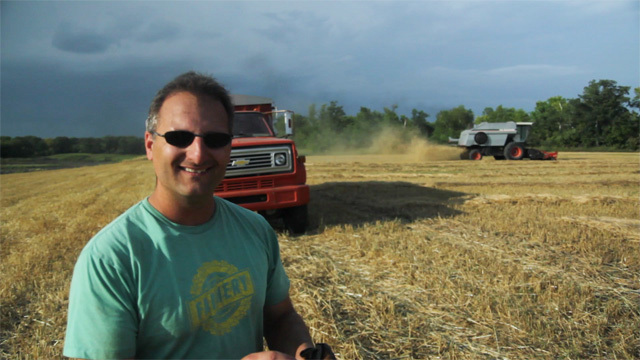 Competing in a global market along with extreme weather forced their Dad off the farm. As they left the farm without any choice, the brothers have no returned to farming in hopes of achieving what their father couldn’t do – add value. When an ad for a fully-furnished yet failed restaurant came into a local paper, they saw it as an opportunity to rent and start a business. That was 15 years ago. In 2008, they opened their first pub in that very space. Meanwhile, Lawrence Warwaruk and his young family have purchased a piece of property close to the farm and are committed to making their dream of an estate brewery a reality. Although Ontario’s Muskoka currently brews their lager, the brothers are ready to invest in their own infrastructure. As for the flapjacks and beer bread, that flour’s milled at Steinbach windmill, the only traditional working windmill in Canada and part of the Mennonite community. The brewery plans to open to the public in spring 2016, with a taproom and tours of the hop yard and brewery, giving folks a complete estate brewing experience. 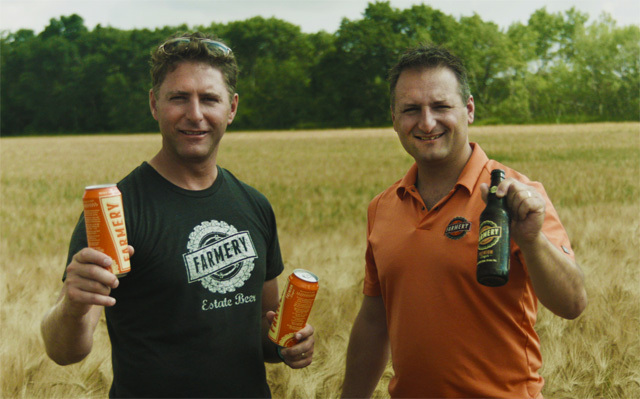 The Farmery boys are the only ones in North America with a grain-to-tap focus, growing wheat and rye malts, barley and 20 varieties of hops. Expanding Manitoba’s craft community should help in creating more localized product, at least that’s what Chris and brother Lawrence believe. They’re also open to sharing their supply. In addition to other local brewers, there’s also a market of home brewers out there that want to know where their grains are coming from. 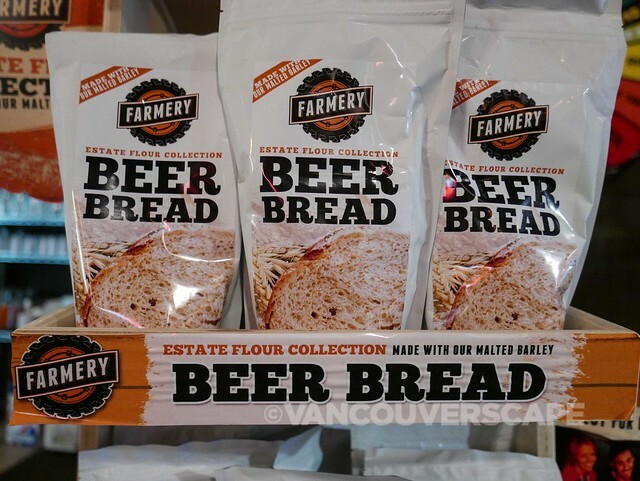 They’ve also launched a line of baking-with-beer products using their malted barley flour available at area retailers: Farmery Flapjacks and beer bread. Just add their beer to the mix and you’re golden. The easily potable flapjack mix makes a great camping breakfast. Find Luxaline Gastropub – along with Farmery Premium Lager – at 734 Osborne Street in Winnipeg. Photos courtesy of Farmery Estate Brewery.